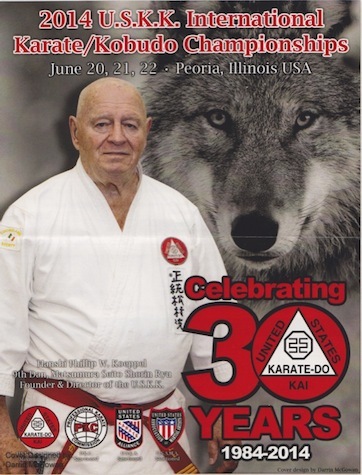 HANSHI PHILLIP W. KOEPPEL, Founder and Director of the United States Karate-Do Kai (USKK) sponsored this event which was held on June 20-22, 2014 in Peoria, IL. The event celebrated the USKK's 30th Anniversary. Mr. Koeppel and the Heilman's have been long time friends. 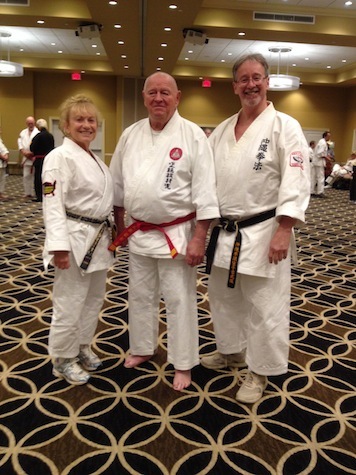 Last year Hanshi Heilman was the Featured Instructor at the USKK Event. This year the Feature Instructor was Hanshi Nick Adler. A couple photos of the USKK's Event from the event are presented below. Copy of Flyer on USKK's event celebrating their 30th Anniversary. 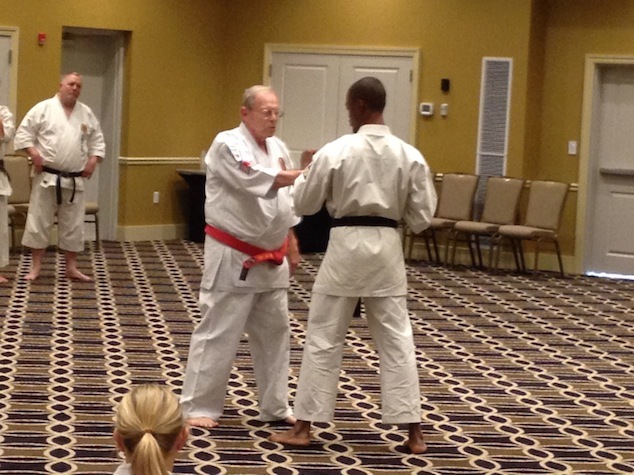 Isshin-ryu Hanshi Nick Adler instructing as the Featured Guest Instructor at the USKK's 30th Anniversary Event. A group of Hanshi's, the Heilman's with Mr. Koeppel. 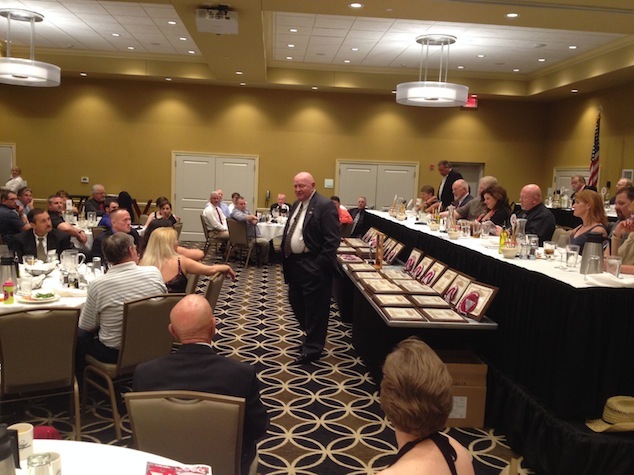 Hanshi Koeppel addressing the members attending the USKK's Annual Banquet held on Saturday evening. 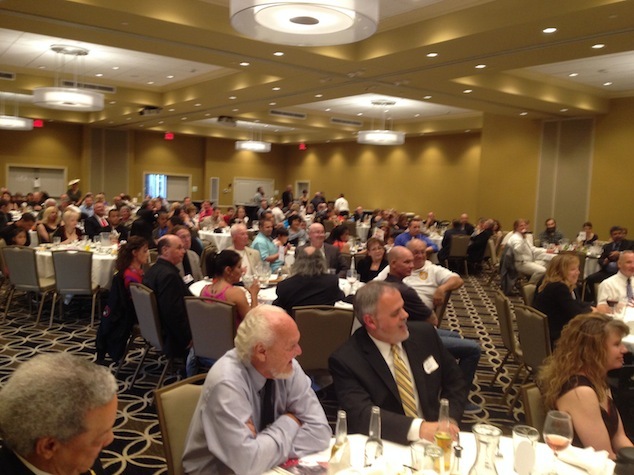 Additionally attending this special event were the following Hanshi's: Bruce and Ann-Marie Heilman, Glenn Keeney, Nick Adler, Jody Paul, Bill Hayes, Robert Yarnell, Terry Maccarrone, Doug Perry and Patrick Hickey. The highlight of the evening was the promotion / recognition of Mr. Koeppel to the rank of Hanshi, 10th Dan. The promotion was made by the USKK's Board of Directors. Special Recognition Certificates of the 10th Dan Promotion were also presented from the IKKF (signed by Hanshi's Bruce Heilman, 10th Dan; Larry Isaac, 10th Dan; Nick Adler, 10th Dan; Ann-Marie Heilman 9th Dan; Jody Paul, 9th Dan; and Bill Hayes, 9th Dan), from Mr. Bill Hayes, 9th Dan and his Okinawan Shorin-ryu Karate-do Kenkyu-Kai - Shobayashi-Kan; Mr. Jody Paul, 9th Dan and his International Seidokan Kobotu-ryu Rengokai (ISMR); and Mr. Doug Perry, 9th Dan and his Okinawan Shorinryu Shorinkan group. It was a well deserved promotion / recognition of a martial artist who has devoted his life to keeping the old ways alive. He has established the USKK as a strong "white gi traditional group" of serious practitioners. It was an honor for all of the Hanshi's present to have the opportunity to honor Mr. Koeppel on his organizations 30th Anniversary. Photo of some of the individuals attending the 30th USKK Annual Banquet. 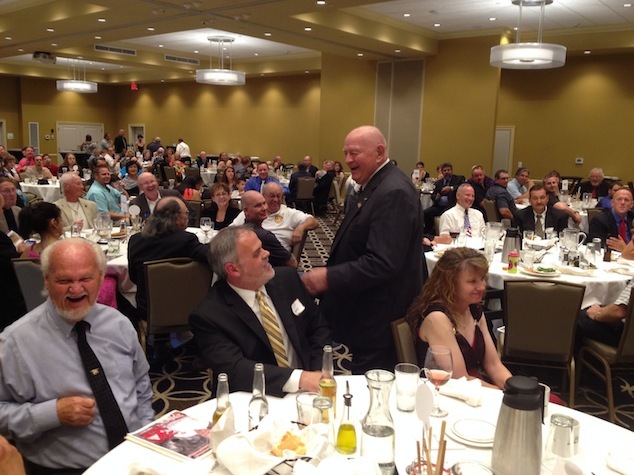 Photo of some of the individuals attending the 30th USKK Annual Banquet as Hanshi Koeppel goes around to each table to welcome everyone to the event. 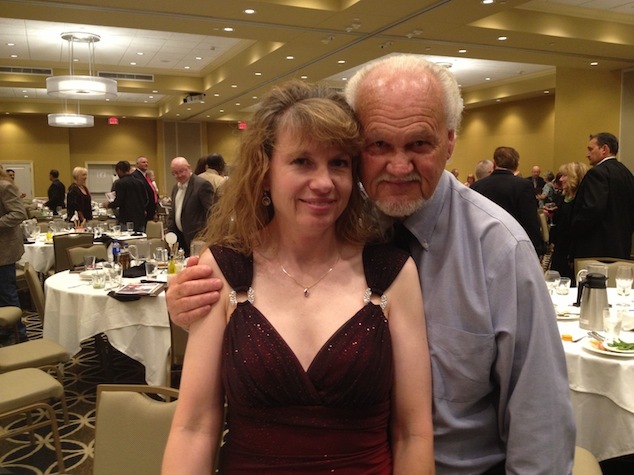 Hanshi Jody Paul with Kyoshi Cassandra Shults at USKK Banquet.